This mini itinerary is Billy's and was produced to cover just two dates for The Cult in 1986. The first on Saturday 7th was supporting Simple Minds at Ibrox Park in Glasgow, Scotland. This was followed on Sunday 8th with a headline appearance at a mini festival in Finland which also featured The Pogues. 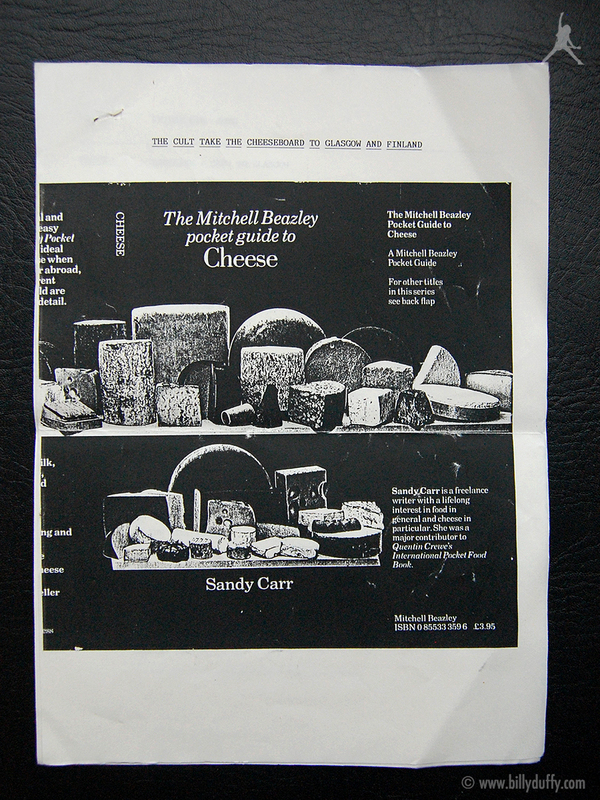 The itinerary features probably the most bizarre cover ever with the title 'The Cult take the cheeseboard to Glasgow and Finland'!